Lip Sync Battle cohost, model and cookbook author Chrissy Teigen is busily preparing for the arrival of her baby boy, but that won’t stop her from taking down a troll or two in the meantime. Yesterday, Teigen’s husband, singer John Legend, posted to Instagram a super-sweet picture of himself toting their daughter Luna, 22 months, on his hip. And the world is just horrible enough to include someone who could find something wrong with that photo. “So tired of seeing them carrying her. She needs no legs then,” said the truly miserable Instagrammer @queenhollandmeissner. Other commenters rushed to defend Legend. “John is a good dad. At least he’s bonding with his child. Nothing wrong with carrying her,” said one. “Toddlers: Not famous for walking as the crow flies in a brisk fashion. When you’re in a hurry you pick ’em up! She’s a beauty,” said another. “Are you so tired of it? Does it make you so sad and upset 🙁 we are so sorry to make you, queen holland meissner of the universe sad and upset. what can we do for you to make it better, sweet angel,” Teigen responded. 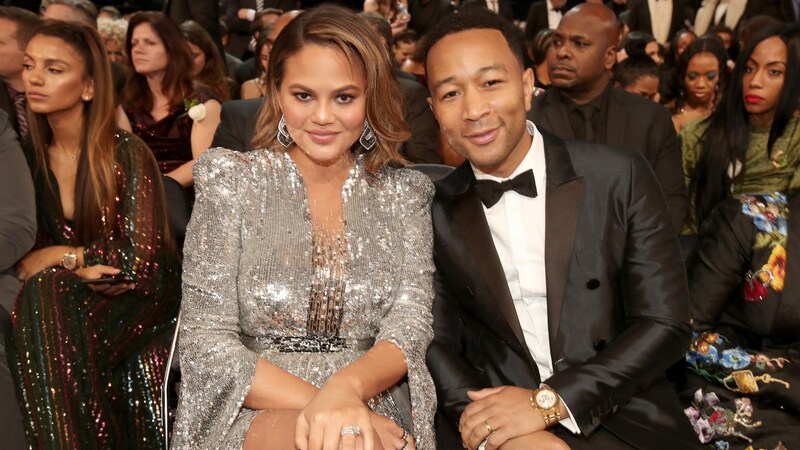 Chrissy Teigen definitely suffers no fools — and fears no trolls. But she is human, and she admitted last week that she’s anxious about the possibility of going through another period of postpartum depression. On Saturday, Teigen was chatting with her friend, celeb hairstylist Jen Atkin (who’s responsible for Kim Kardashian West’s perfect mane) at the Create & Cultivate conference in Los Angeles. Hear that, internet trolls? Don’t mess with Teigen’s peeps. Teigen is prepared to do battle again — be it lip synch, PPD or trolls. Take notice, world. This is one mama who is ready for you.